The Ellen MacArthur Foundation’s New Plastics Economy report predicts that if current trends of plastic production continue unabated, the ocean could contain more plastic than fish, by weight, by 2050. While there may be no practical or economical way to completely clean up existing oceanic garbage patches, there is growing cooperation among public, private, and social sector organizations to take more aggressive, prosocial action to mitigate the damage and change behaviors for a brighter future. Plastics play an elemental role in most of our lives and modern economies depend on them. However, many producers of such everyday products acknowledge the harm they can cause and are seeking alternative materials or closing the loop to ensure plastics are effectively captured in recycling systems. The emergence of bioplastics and the increased interest in using ocean plastics as feedstock for new products are examples of two nascent but developing efforts to turn the tide on marine debris. Many NGO-led partnership initiatives, including the Ellen MacArthur Foundation’s deep engagement with industry, aim to accelerate a transition to the circular economy, where the goal is to close the material loop by producing goods designed based on the reusability of the waste they create. 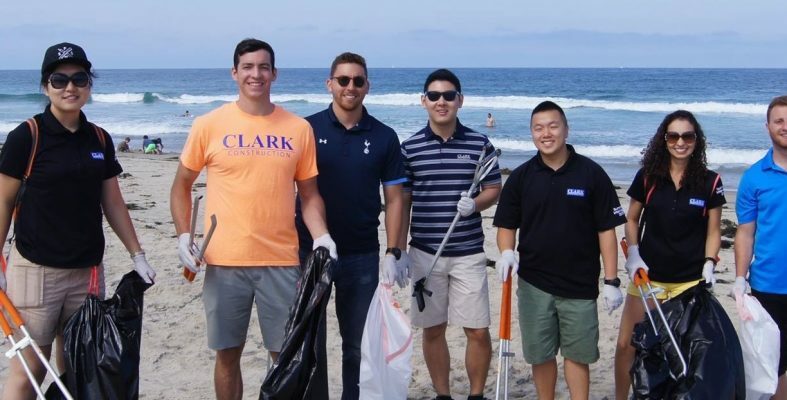 Keep America Beautiful, a founding member of the Ocean Conservancy’s Trash Free Seas Alliance (TFSA), is working with TFSA to raise public awareness about the issue. As a member of TFSA, we can report that much of the current discussion about marine debris concerns the reduction and prevention of plastics reaching the oceans. This effort is framed by a holistic set of initiatives, including policy and projects, science-based decision making, and the development of an ocean plastics supply chain, among others. A significant recent action taken by the global business community is the creation of Closed Loop Oceans, an initiative to develop a new funding mechanism to prevent plastic waste from leaking into the world’s oceans. Closed Loop Oceans is a collaborative partnership organized by Closed Loop Partners, which includes the Ocean Conservancy, TFSA, 3M, PepsiCo, Procter & Gamble, The Coca-Cola Company, American Chemistry Council, and the World Plastics Council. The partnership is focusing on waste management and recycling solutions in five Southeast Asian countries based on research showing that the Northern Pacific Gyre, also known as the Great Pacific Garbage Patch, is primarily composed of plastic waste originating from economic activity in these markets. The initiative holds great promise, as emerging economies have a “latecomer’s advantage” in that they can learn from the experimentation in industrialized nations and avoid unsuccessful policies. When Keep America Beautiful calculated the results from our 2009 Visible Litter Survey, we found that at the national level, litter along roadways decreased by 61 percent between 1969 and 2009. However, because of an increased use of plastic in packaging materials over the same period of time—a 340 percent increase per capita—we saw plastic litter predictably increased by 165 percent. Unfortunately, some of this plastic waste is undoubtedly flowing out to sea. As economic globalization permeates even the most isolated populations, the waste stream looks alike across the globe’s diverse landscapes and cultures. Litter abatement work in the United States, for example, has helped to accelerate the work that Keep Australia Beautiful does through its Clean Beaches program. As economic globalization permeates even the most isolated populations, the waste stream looks alike across the globe’s diverse landscapes and cultures. Keep America Beautiful’s community-based Affiliate Network has also taken our learnings about littering behavior and designed programs that build community enthusiasm around recycling and responsible waste management. For instance, Keep Texas Beautiful’s Fall Sweep supports the Ocean Conservancy’s International Coastal Cleanup. 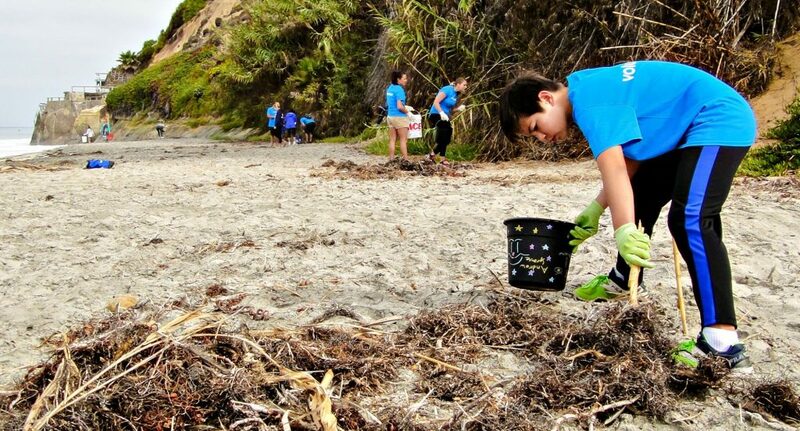 In California, ‘I Love a Clean San Diego’ has successfully led over 31,500 volunteers through 260 cleanup events, including the annual Creek to Bay Cleanup, which collected nearly 170,000 lbs. of debris throughout San Diego County in 2017. Keep America Beautiful also recognizes that elemental to abating litter is to further enable recycling on the go. Facilitating recycling outside of our homes and businesses, in public spaces where it’s less convenient to recycle, will help reduce litter at its source. By doing so, Keep America Beautiful will engage public and private stakeholders to help eliminate plastic and other litter and improve recycling rates, all with the goal of keeping our land and seas beautiful. Finally, Keep America Beautiful’s ‘Great American Cleanup’ has been active in waterway and beach cleanups for 20 years. In 2017 alone, nearly 186 million pounds of litter and debris were collected by volunteers throughout the country and nearly 9,500 miles of rivers, lakes, shorelines, and wetlands were cleaned. The lessons learned about littering attitudes and behaviors can help in other areas throughout the world, as long as the approach considers the capability of different populations and how local cultures integrate waste handling to motivate proactive, responsible consumerism along with corporate social responsibility. About Keep America Beautiful: Founded in 1953 and celebrating its 65th anniversary in 2018, the organization is committed to educate, motivate, and activate individuals in America and around the world on the role we all must play to ensure the responsible, sustainable and public stewardship of our planet’s oceans, rivers, lakes, and waters as well as our land-based public spaces for generations to come.